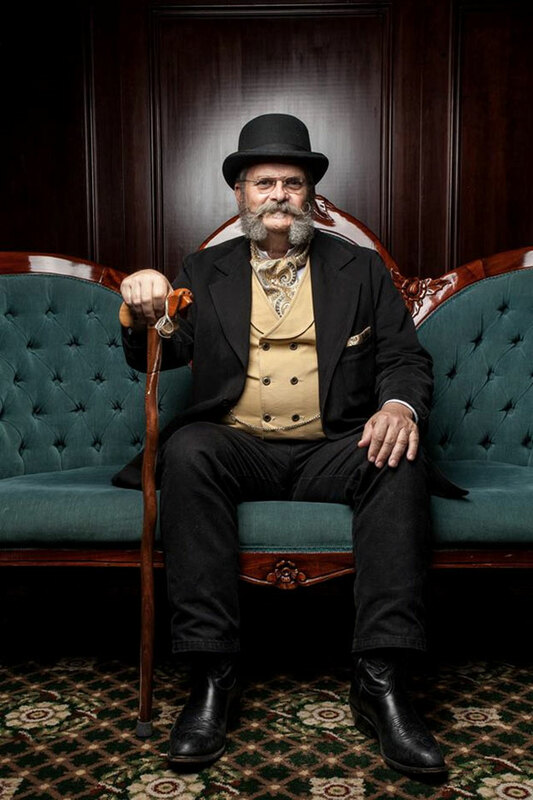 Mr. Mark Rathbun took our clothes out to compete at the Emerald Coast Beard and Mustache Alliance‘s 1st annual membership drive and beard competition in Pensacola, FL last month. Outfitted in our gold paisley ascot, wheat canvas vest and black town coat, he drew effusive praise and accolades for his ensemble. Congratulations, Mr. Rathbun. Thank you for sharing your story and we are excited to be part of your winning outfit. If you have pictures and a story to share, please tell us about it.